Review later. 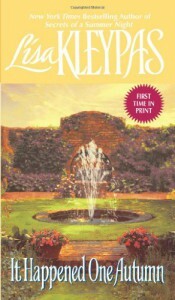 After reading book 1 of the Wallflowers and not liking it as much as her other Hathaways series (it was good, but I didn't feel the magic), I was starting to wonder if maybe I was just strictly a Hathaways girl, since I didn't enjoy Bow Street Runners as much either.Book 2 of this series proved me wrong. I had so much fun reading this book! I'll figure out something better to say later.